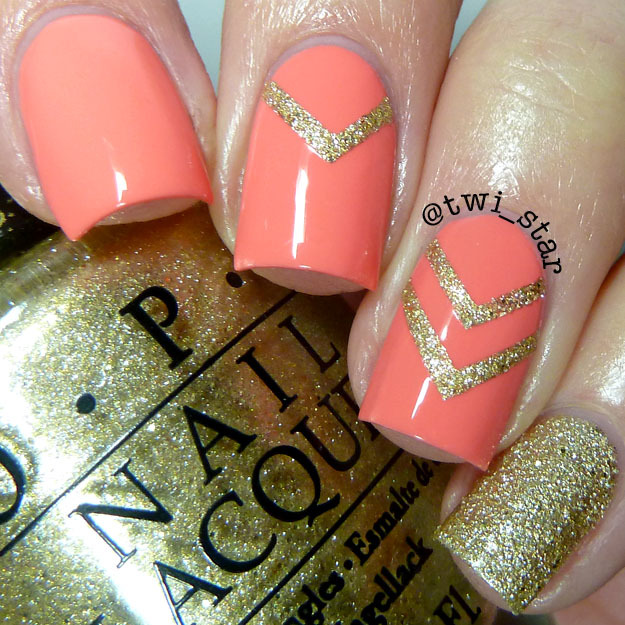 Today I have a gorgeous polish from She Nail Polish, let’s check it out! This bright cantaloupe is Harlem from She Nail Polish, a perfect crème. I used 2 coats here. One of my fav colors of polish to wear! 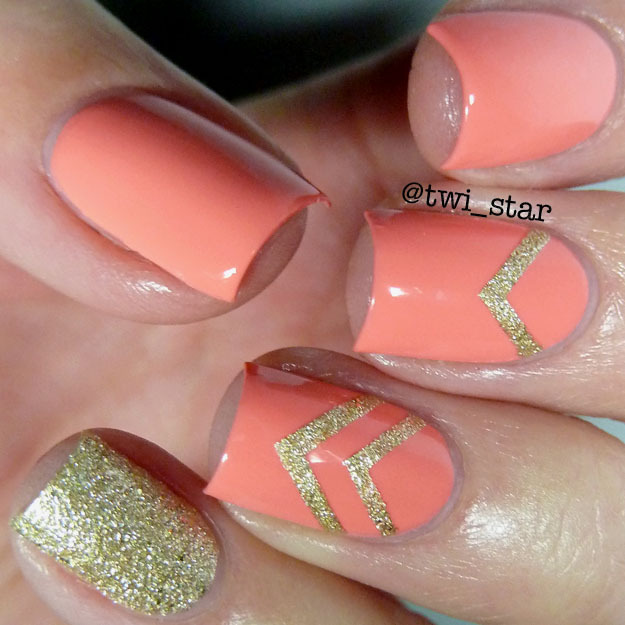 The gold texture is Honey Ryder from OPI, I used only 1 coat. When I used 2 coats of this polish I feel like you can’t see the texture as much. It has such a luxe look, I love it. 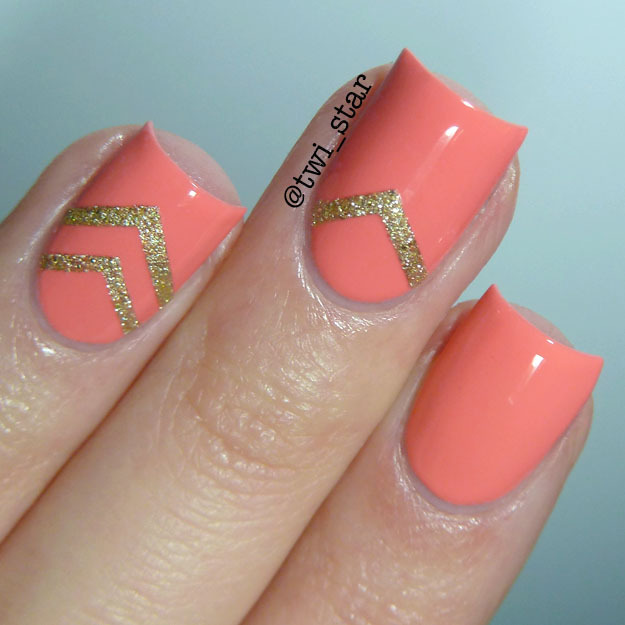 I used right angle nail vinyls from Vinyl It Up for the chevron design.